Taylors Opticians is a fabulous, modern purpose-built practice based in Portadown. The 3 fully equipped consultation rooms, all with disabled access, enable the provision of top quality eye care. We have invested in the latest eye examination equipment including a high tech retinal camera. The practice specialises in eye examinations, designer frames, contact lenses and sunglasses. 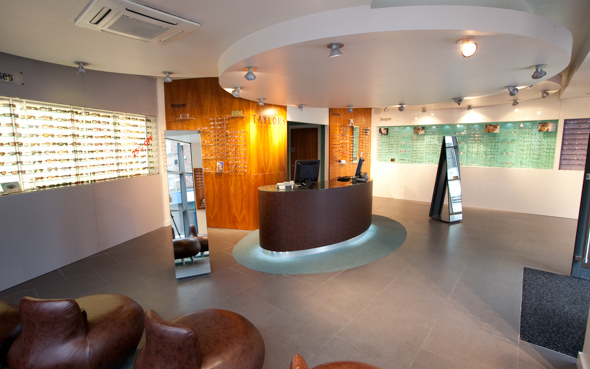 The large reception area enables the practice to showcase one of the most extensive ranges of frames. You will be attended to by professionally trained opticians and optical assistants, who are passionate and enthusiastic about finding you the perfect eyewear for all occasions. With over 30 designer collections and several exclusive ranges, we are one of the leading optical practices for stylish frames!